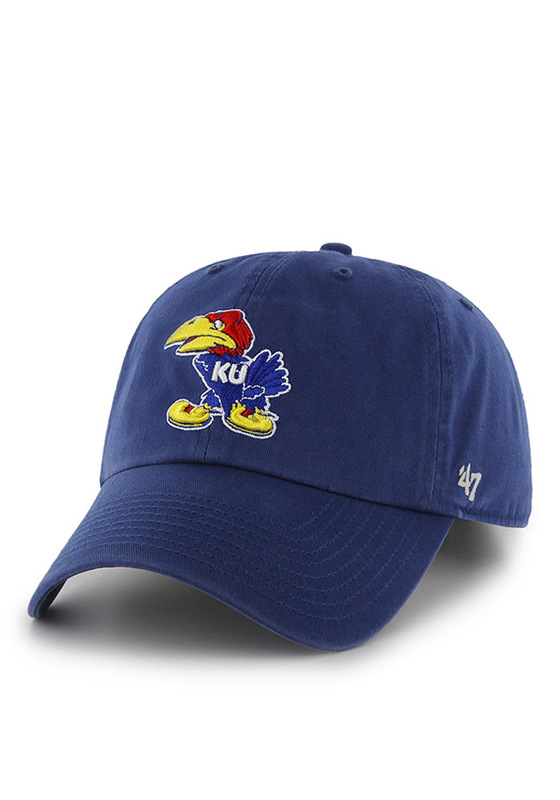 This Kansas Jayhawks Blue Adjustable Hat features a relaxed fit, garment washed design with raised embroidery logo. The adjustable hat completes the perfect outfit on gameday. Rock Chalk Jayhawk! Taking a form similar to the modern logo, the Jayhawk evolved into a serious and fearsome mascot. Designed by Gene "Yogi" Williams, the 1941 logo featured a Jayhawk with open eyes and beak, giving this logo an intimidating look. With the United States entering World War II at this time, and with its steely demeanor, this Jayhawk became known to fans as "War Hawk", or "Angry Jayhawk." Unique Characteristics of this Logo: Debuted the white KU monogram, which had previously been red; Features an open beak unlike previous Jayhawks.